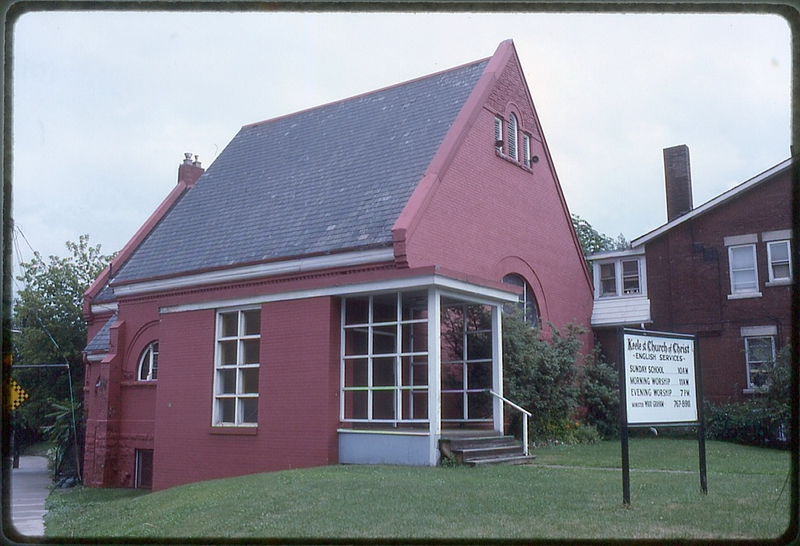 The original church building was designed by Ellis in 1890, making it his earliest-known Junction work. Portions of his design can still be seen on the east side of the building, including the Romanesque arches which typify much of the area’s 1890s architecture. A non-denominational church today, it was originally a church for the Disciples of Christ. Among the regular worshippers here was the Junction’s first mayor, Daniel Webster Clendenan. Ellis is known to have been raised in the Disciples of Christ Church, and this may have been his congregation also. which is subtle nod to romanesque arches in original.